On this wonderful journey through life, I feel myself searching for more. Searching, looking for the next opportunity or thing that may bring me happiness. I’m starting to learn that I don’t have to. The best the Universe has to offer me has been right in front of me the whole time. It is with gratitude I feel this to be true. Nothing is as sweet or as fulfilling as the present moment. Nothing can take away from the power of right now. So if you find yourself searching like me, stop and remember your breath. Use gratitude to tie you to this moment and let the rest figure itself out. This morning I found myself just sitting and talking with my mother. We enjoy kayaking, running, and a number of other things but doing nothing feels just as good. I appreciate the moments where I see how alike we are. The way we curl up with a blanket or tell a story, she’s a huge piece of my support system. Time at home is special to me. Spending time with my mom is part of that. Although I did not accomplish my original goal of 365 consecutive days of gratitude, I’m still proud of what I’ve done. 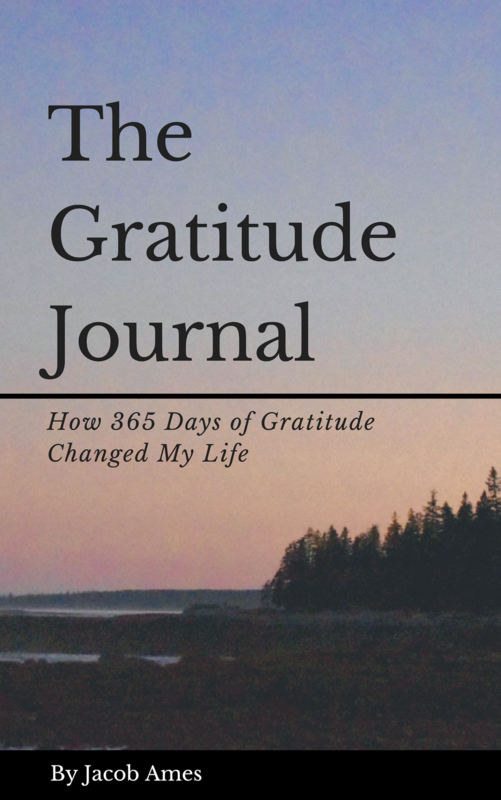 Whether I’ve made time for my daily blog or I’ve journaled about my gratitude for the day, it’s changed my life for the better. So now I continue because it’s what we must always do. Life is about progress and growth. Life is about taking our experiences and using them to better ourselves in new ways. I want to reinvent myself every chance I get. I want to embrace change and use it as a tool on my way to accomplishing my goals. Featured image from the end of summer at UMASS. This post comes from my friend and a returning guest blogger, Riley McGrath. My name is Riley McGrath, I am a 20 year old FTM transgender guy from Scituate Massachusetts, though home to me is really Bridgewater State University. I am studying psychology and am taking on a double minor in LGBT studies and women and gender studies. I hope to become a gender therapist where I will be helping trans folks like myself every day of my life. Something that I’ve carried with me throughout my coming out and transitioning process is this idea of a chosen family. I grew in a big Irish Catholic family. These values have been ingrained in me, my whole life. Now that I’ve started my transition and have come out, the importance of family has changed for me. To me, family is the people that accept and support you without any conditions. I don’t see my biological family being in my life forever unless they accept who I am and start to call me Riley. My true family is the people have been with me since I have come out and support me without exceptions. One of the beautiful things about being LGBT is being able to choose your family. Sometimes it’s after your biological family kicks you out. But you find the most amazing people to “replace” what you’ve lost. My chosen family is something I am grateful for every day of my life. One of my favorite quotes about family is from the TV show, The Fosters. It is something I carry with me through the ups and downs of being queer and a trans male. “DNA doesn’t make a family. Love does” I really love that quote and it always reminds me of my chosen family.